Looking for private in-home or in-studio Film Acting classes? Our Ellenwood teachers are ready to get you started. Find your teacher today! Learn how to develop a character, score a monologue, work in auditions with cold readings and preparation. All aspects to help you grow as a performer. Having a background in film, I can give you the personal attention, acting techniques, and career guidance you need to reach your full potential as an actor. 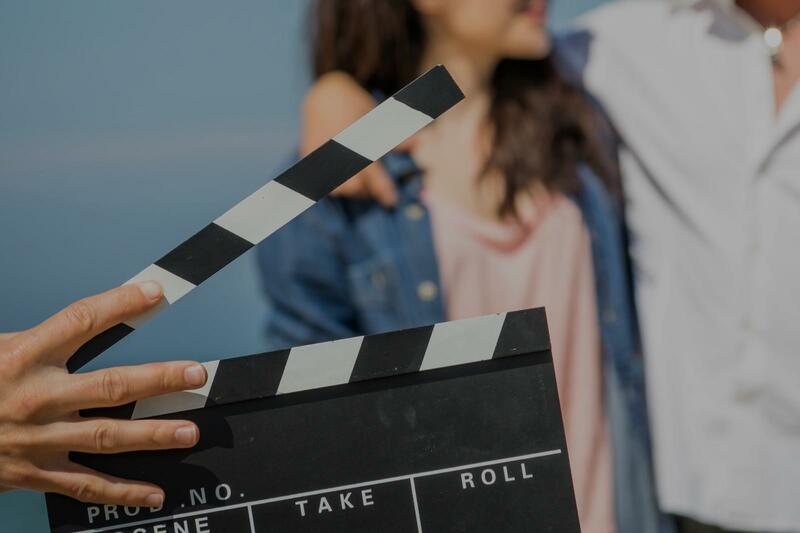 You can expect to walk away with tools to break down a script, self tape, enter an audition room, and be the best you. You'll also leave with confidence, and a tape of our session. Film acting doesn't differ much from stage acting. The preparation and partner work is instrumental and fundamental, and our goal is utilize those and making the camera our friend. and multiple independent films. I'm also a reader for WB casting, which gives me time to sit on the other side of the table to see and hear what CD's are looking for. What drives me to wake up every day, is to supply actors with a safe space to grow and learn trusted actor tools and resources. I want to foster, the lessons I've been taught and learned, and help the actor change their path and careers. I love meeting new artists, collaborating, and getting results. I'm a producer/actor/director who combines that with my passion of being a life-coach. I attended the high ranking, UNCSA, Royal Shakespeare Company, UCB, and have private coached for 5+ years. se in the acting pursuit and life. I have extensive experience and teaching exp. in: Shakespeare, Monologues, EPA's, Self-taping, Improvisation, Auditioning, Winning the room, Meisner, College auditions, Stanislavsky, and more. Michael Labbadia: The Attic Theater Co.
Alex Gagne: Keen Company, Bridge Production Group, MugBug Prod. Really great insight and learnt a lot. Very focused and on point. Looking forward to my next online session with Jake. I became a fan of Jacob's theatre work in NYC. It's always fresh and inventive, which is why I coach with him on my audition scenes. I primarily go in for tv/film work, but his classical training foundation and fresh perspective translate to the screen. If you're looking for affordable coaching with a cutting edge, up and coming artist- call Jake! Do you need help finding the perfect audition monologue? Want some coaching on your performance? Need some advice on a scene or a script? I have taught acting, voice, and movement for the past two years and work with people of all skill levels and experience. I believe in a holistic approach to acting, so I work on enhancing imagination, body, and voice. I can work with you on general acting technique, presence, healthy use of voice, movement work, dialects, or any or all of the above! Hi! I'm an actor, director, and playwright who loves sharing my passion for theatre with people of all ages. I am primarily an acting teacher specializing in the Meisner technique. I am a graduate of the University of Central Oklahoma with a BFA in Acting and Texas Tech University with an MFA in Theatre Performance. I have had the opportunity to train from some of the country's most exceptional theatre artists, and bring a wide array of tools to my work as an acting coach. Acting is hard work, but it should be fun! I'll teach you specific techniques or we can work on specific material. you using the tools in my toolbox to make you a more present, spontaneous, and engaging performer. I teach students to better understand their character and make spontaneous choices, living fully in the moment as an actor instead of worrying about "what's my next line?" or "do I look silly?" Let's find what's unique about you and find ways to use it! I can also work with students on healthy use of voice, dialects, and movement. I specialize in French, Russian, Cockney, Received Pronunciation (RP), Southern American, and Irish dialects. I'm excited to work with you! With an MA from the Royal Central School of Drama in London and 12 years experience teaching internationally at all levels, I can design a program specifically for you and your goals as an actor. Private Acting Clients: Anna Khaja, Guy Burnet, Phillipe Brenninkmeyer, Ben Robson, Kenny Doughty, Zack Zublena, Angel Fajardo, Riya Ray, etc. My lesson work with all aspects of your instrument - breath, voice, body, character, scenework, accents and audition techniques (including putting you on tape for an audition). I'm also a working screenwriter so I have an abundance of original material for you to work with. I would be honored to help you cultivate your skills as an actor. Why me? With an MA from a renowned London Acting Conservatory and 12+ years experience teaching internationally, at all levels and across related disciplines (tv, film, voice over, ADR, eastern & western acting techniques, screenwriting, dance. producing, audition techniques, puppetry, children's theater) I can approach our lessons from many angles. My greatest strength is my ability to recognize an individual's unique brand of talent as well as their specific learning style and customizing sessions accordingly. ys send them away feeling confident and inspired. This is the feedback I get most often. "she was fun and she let try she also gave great advice"
very penny. I'm moving to LA as I've just been cast as a series regular on a new ABC comedy but will be coaching with Maria online. I will be forever her student. She's a complete genius."